Electroconvulsive therapy (ECT) is a medical procedure that is used to treat a range of mental illnesses such as severe depression, catatonia and some forms of mania and schizophrenia. The treatment induces controlled seizures in the patient via small electrodes placed at specific locations on the head. ECT has been used for over half a century in many different countries, and its effectiveness is well documented. Approximately eight out of 10 patients who undergo ECT will experience dramatic improvement. The reason why this treatment is so effective is still mysterious. The brain functions using electrochemical messages, and it is thought that ECT-induced seizures interrupt these messages and ‘reset’ the brain. ECT is generally used when other forms of treatment, including medication and psychotherapy, have failed. However, ECT is often the first treatment of choice in life threatening situations, such as a potential suicide, because of the rapid results. Sometimes, ECT is prescribed for older patients who can’t tolerate medications. Usually, ECT is performed under supervision by the prescribing psychiatrist. The patient is anaesthetised and given muscle relaxants. The electrodes are placed at strategic points on the patient’s skull. Depending on the patient, one or both sides of the head will be stimulated, known as unilateral or bilateral ECT respectively. A series of brief, low frequency electrical pulses prompt a convulsion. The patient won’t feel the convulsion because of the anaesthesia, and won’t have muscle spasm or move because of the muscle relaxants. The patient wakes up after a few minutes. ECT is typically administered three times per week for six to nine treatments, but the exact course of treatment depends on the nature of the illness and the patient's response to treatment. Research has shown that ECT doesn’t cause brain damage because the amount of electricity used is too small to harm tissue. 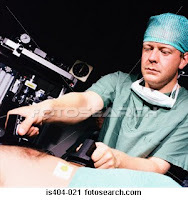 Like any operation involving anaesthesia, ECT carries a small degree of risk. Some of the immediate side effects of ECT (these tend to resolve within a few hours) include headache, sore muscles, queasiness and confusion. During the course of the treatment, many patients experience problems with short term memory, but this side effect only lasts a few days or weeks. A few individuals, however, experience long term difficulties with memory. 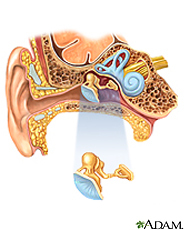 This effect is more common in patients who undergo bilateral, rather than unilateral, ECT. 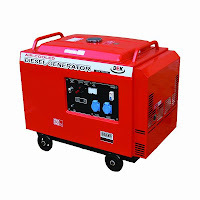 Emergency electrical power is defined as an independent reserve source of electric energy which, upon failure or outage of the normal source, automatically provides reliable electric power within a specified time. A reliable and adequate source of electric power is necessary for the operation of active industrial operations. Power must also be available at to provide water for fire protection,energy for automatic fire alarms, light for security purposes, heat for preservation of critical industrial equipment, andfor other operations. Hospitals (life support, operating room, emergency lighting and communication, refrigeration, boiler plant, etc.). frequent power outages may occur. Airfields (control tower, communications, traffic control, engine start, security, etc.). Electric and magnetic fields (EMFs) are areas of energy that surround electrical devices. Power lines, electrical wiring, and appliances produce EMFs. Some people worry about EMF exposure and cancer. A few studies found a link between EMF exposure and a higher risk of childhood leukemia, but the link is weak. Other studies didn't find a link between EMF exposure and other childhood cancers. For adults, studies of EMF exposure from power lines and electric blankets show little evidence of a link to cancer. In adults, EMFs may reduce heart rate and interfere with brain electrical activity during sleep. This may or may not affect your health. Some people worry that wireless and cellular phones cause cancer. They give off radio-frequency energy (RF), a form of electromagnetic radiation. Scientists need to do more research on this before they can say for sure. Erectile dysfunction (ED) is when a man has trouble getting or keeping an erection. ED becomes more common as you get older. But male sexual dysfunction is not a natural part of aging. Your doctor can offer several new treatments for ED. For many men, the answer is as simple as taking a pill. Getting more exercise, losing weight or stopping smoking may also help. Eesophagus is the hollow, the muscular tube that moves food and liquid from the throat to the stomach. A wall of the esophagus is made up of several layers of tissue, including mucous membrane, muscle, and connective tissue. The Esophageal cancer starts at the inside lining of the esophagus and spreads outward through the other layers as it grows. * A Squamous cell carcinoma: Cancer that forms in squamous cells, the thin, flat cells lining the esophagus. This cancer is most often found of the upper and middle part of the esophagus, but can occur anywhere along the esophagus. This is also called epidermoid carcinoma. * Adenocarcinoma: Cancer that begins in glandular (secretory) cells. Glandular cells in the lining of the esophagus produce and release fluids such as mucus. Adenocarcinomas usually form in the lower part of the esophagus, near the stomach. 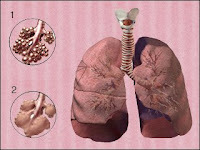 Emphysema is a type of chronic obstructive pulmonary disease (COPD) involving damage to the air sacs (alveoli) in the lungs. As a result, your body does not get the oxygen it needs. Emphysema makes it hard to catch your breath. You may also have a chronic cough and have trouble breathing during exercise. The most common cause is cigarette smoking. If you smoke, quitting can help prevent you from getting the disease. If you already have emphysema, not smoking might keep it from getting worse. Treatment is based on whether your symptoms are mild, moderate or severe. Treatments include inhalers, oxygen, medications and sometimes surgery to relieve symptoms and prevent complications. The liver is a vital organ present in vertebrates and some other animals; it has a wide range of functions, a few of which are detoxification, protein synthesis, and production of biochemicals necessary for digestion. The liver is necessary for survival, there is currently no way to compensate for the absence of liver function. The liver plays a major role in metabolism and has a number of functions in the body, including glycogen storage, decomposition of red blood cells, plasma protein synthesis, hormone production, and detoxification. The liver is also the largest gland in the human body. It lies below the diaphragm in the thoracic region of the abdomen. It produces bile, an alkaline compound which aids in digestion, via the emulsification of lipids. It also performs and regulates a wide variety of high-volume biochemical reactions requiring very specialized tissues.